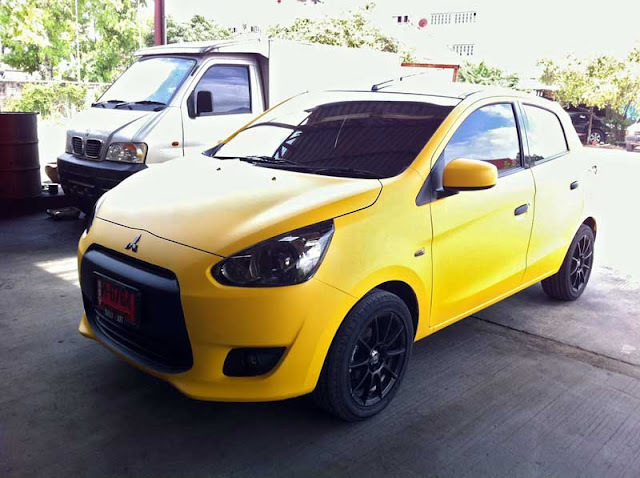 Here's the first pic I've seen of a tricked-out new Mitsubishi Mirage from Thailand. In stock form, the little Mitsu is quite sleepy looking, as you can see in the picture below. Thomas in Thailand—our eyes on the streets in that country—posted the above Mirage on my Facebook page today. While I dig what looks to be a matte yellow paint job (maybe just the photo?) and the attempt at an EVO-esque front fascia, I'm still not convinced the new Mirage is a looker by any means, especially in stock form. In fact, I think I just fell asleep for a moment just looking at it. 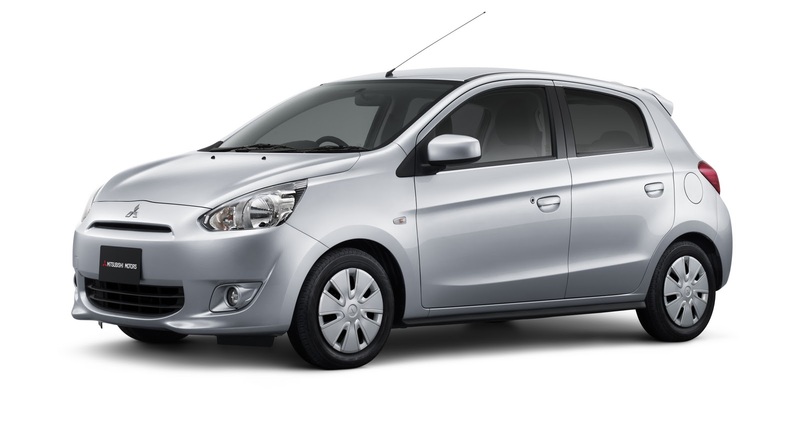 A stock version of the new Mitsubishi Mirage. Thomas said that he's seeing more and more Mirages around the streets of Thailand, which makes sense, as it's the first country to get the car (it's manufactured there, too). Europe is supposed to get the Mirage next year, and it's apparently coming to Canada, too. The U.S.? Not so much, at least not yet. Bonus points for the BMW-like grille on the micro truck in the background. This is my cars in Thailand. The yellow you seen is a sticker wrap. The modification is start from 1st day with below list. Here is an update photo. Thanks for the update. You've done a good job making your Mirage look good! hi, do you know where can i buy for the side skirt for 2012 mirage in thailand or maybe malaysia?